Warning: The conversation you are about to read (in BOLD) is totally imaginary. The individuals described do not represent any actual persons. Besides, the real discussions are so secret, we have to guess how the discussion went. The rest, we stand by. This is the Department of State. Can we interest you in a cultural property agreement with the United States? We don’t accept unsolicited calls. Click. No really, it’s the State Department. We have a great deal for you. Yeah, we see that you have a national patrimony law, where you say that all your cultural property is controlled by the state, whoever actually owns it. You’ll fit right in. Just fill out this simple request… the US will stop all Algerian art and ethnographic material at our borders, and whatever we find, we’ll send back to you, for free! Well, don’t you have a looting problem? You’ve got lots of Roman ruins. We are kind of a, you know, dictatorship… of the People, of course. The same guy’s been President since 1999. It’s not easy to get stuff out of the country without us noticing. You may have heard about these immigrants and refugees trying to cross into Europe? How we catch them at the coast and truck them back across the country to the desert and tell them to ‘walk home’? Our part of the State Department doesn’t concern itself with human or religious rights. We already have these agreements with China and Libya and Syria. Oh. Hmm. Then that’s workable. Does this agreement have a warranty? How long is it good for? Long as you like. 5 years at least, but most countries just keep going and going. Some are still chugging away after 30 years! You just have to let us know you want to renew. We don’t make your renewal request public, so you know, just say you’ve been working hard, but you still need it and no one can question whether you did the stuff you promised. While the conversation above is imaginary, it’s a fact that the State Department is rushing through another proposed agreement to block U.S. public access to art, this time with the People’s Democratic Republic of Algeria. On June 13, 2018, the State Department announced that it had received a request from Algeria under the Convention on Cultural Property Implementation Act to block importation of its cultural objects from entry into the United States. In conformity with the State Department’s ultra-secret procedures, neither the actual request from Algeria, nor any ensuing conversation between the two countries was made public. Only a Summary, written by the State Department, gives an inkling of what might be covered. The Summary didn’t list the ages and types of art and artifacts to be blocked, but it referenced a full range of the history of objects from Algeria – from the rock art of the Paleolithic period to ethnic jewelry and household objects of the Saharan nomadic tribes, whose goods rarely exceed 100 years of age. The Cultural Property Advisory Committee (CPAC), which is tightly controlled by the State Department, reviews the requests. For the last twenty years, with only one exception (Canada), CPAC has recommended that every request for import be granted and extended indefinitely into the future. Members of the public, if they submit comments and a request in writing by July 15, will be allowed 5 minutes to voice their objections in a brief public session on July 31. The US has agreed to treaties and Memorandums of Understanding (MOUs) with 20 foreign nations representing the major civilizations of the ancient past. 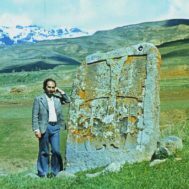 In essence, the U.S. recognizes the current national governments’ ownership of all cultural property from these regions, including the personal property of individuals and the communal property of religious and ethnic groups. The Algerian Request does not distinguish between items of historical or archaeological importance and items that are common, repetitive, and that are found outside of archaeological contexts, such as Ottoman period and earlier Islamic artworks, Tuareg materials, and the artifacts of the now-exiled Jewish communities of Algeria. However, it calls for a U.S. embargo against them all. American Jews of Middle Eastern and North African descent have decried the proposed agreement, saying that it would add to an alarming pattern of import restrictions with Middle Eastern nations – Iraq, Syria, Libya, and Egypt – that include Jewish objects, from Torahs, kettuba (marriage documents), and religious implements to clothing, jewelry, and household goods. They object to the State Department’s promotion of agreements that legitimize the confiscation of Jewish property. “The American Jewish community is extremely upset and outraged that this great country of ours, where we have at last found freedom, refuge from oppression, and protection under the law, would consider granting the Algerian government the right to continue its appropriation of Jewish property, barring entry of Algerian Jewish patrimony to the USA, through the deceptive maneuver of this MOU. 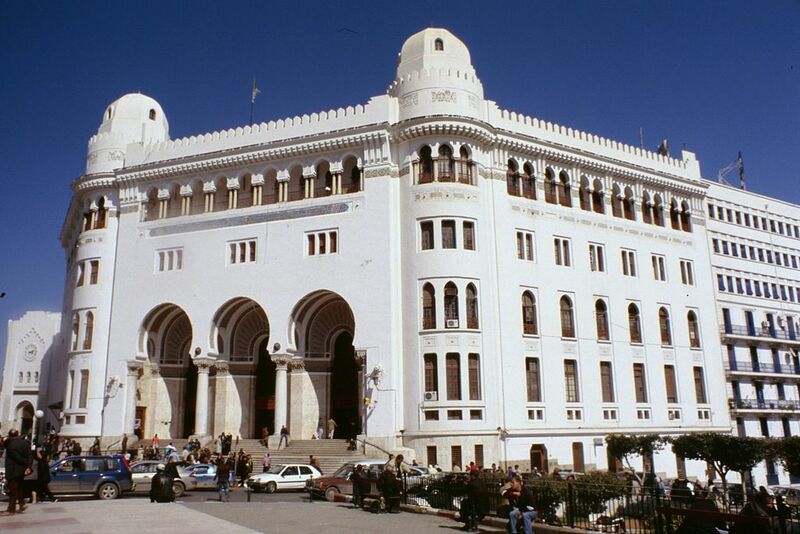 How can you expect the Algerians to protect our patrimony when they converted the Great Synagogue of Oran into the Abdallah Ibn Salam mosque, a major tourist attraction. They have barred Jews from visiting the Alnaqua’s Tomb in Tiemcen. The cemetery of Oran like other cemeteries have been wrecked, Ghardaya’s synagogue desecrated. A wall of import restrictions across the Middle East has already impacted the region’s former Jewish community, which was forcibly expelled and their property confiscated by each of these States’ governments in the mid-twentieth century. Typically, these restrictions exclusively benefit national governments and their claims to own and control cultural and religious artifacts—at the expense of the ownership rights and basic human rights of individuals in minority communities. Because these agreements always list general descriptive categories, such as textiles, jewelry, furnishings, manuscripts, tools, etc., Jewish and Christian items are included if they are not specifically excluded. Thus, the proposed agreement would also include the family possessions of ethnic minorities that were driven out of Algeria in the 20th century, including the 2000-year-old Algerian Jewish community. “In the 1960s, the Algerian Jewish community– which was 140,000 strong at its height, faced individual and communal harassment, kidnappings, confiscation of assets, institutionalized discrimination, and ultimate denationalization. As a result of the Algerian revolution, in 1963, The Algerian Nationality Code was passed and granted citizenship to Muslims only. 95% of Algerian Jews were forced to flee lands their ancestors lived in for millennia. Algerian Jews had no choice but to leave their communities, their properties and their ancient heritage behind. I find it absolutely unconscionable that today, the Algerian government would like to claim Algerian Jewish patrimony as part of its national heritage. What an incredible insult to this exiled and denationalized community. Jewish cultural property in Algeria was at best expropriated from private homes, schools, and synagogues and at worst totally desecrated and destroyed by the Algerian authorities. Saharan oasis town of Taghit, By Mohamed.benguedda [CC BY-SA 3.0 (https://creativecommons.org/licenses/by-sa/3.0)], from Wikimedia Commons. The Algerian request also appears to fail to meet the legal criteria for agreements under the 1983 Cultural Property Implementation Act. These criteria were set by Congress in order to balance the U.S. interest in preserving world archaeological heritage with its interest in maintaining a rich cultural life, vibrant museums, and wide access to world heritage by the diverse American population. Congress wanted both to protect vulnerable artifacts in jeopardy of pillage and to ensure that U.S. citizens of all backgrounds has access to cultural heritage, to allow art galleries and businesses to continue, to enable academic study, publication, and to preserve the educational benefits and enjoyment of world heritage for the American people. To meet the legal test, first, Algeria must demonstrate that every type of object for which it is seeking restrictions is threatened by pillage today. There is no such evidence beyond some story about German tourists who tried to smuggle out Roman pieces through the desert and got lost. The cities’ antique shops have paltry materials such as dishes, trays, lamps and coins, but none of this is cultural patrimony. In general, antique objects are either in Algerian museums or private homes of the politically connected, or they were destroyed in the decades of brutal civil wars that consumed Algeria in the second half of the 20th century. Algeria must also show that it has cared for its cultural patrimony. While archaeological sites are underfunded, Algeria has created a number of public museums that showcase ancient finds including sculpture and a large number of extraordinary mosaics. These museums inventories are tightly controlled, even photography is not generally allowed, and these resources are not vulnerable to looting or theft. There is not evidence that Algeria has similar legal agreements to the proposed U.S. embargo except to exchange stolen property with neighboring African and Middle Eastern nations. The Summary, which claims there is a significant market for looted Algerian antiquities in the U.S. appears either wildly exaggerated, or just deceptive. There is, in fact, little or no evidence that Algerian cultural heritage actually at risk. The State Department Summary does not meet the test of a quick Internet search. The U.S. market for Paleolithic artifacts turns out to be a couple of dozen items offered by two U.S. fossil shops on eBay, averaging in price less than $50. 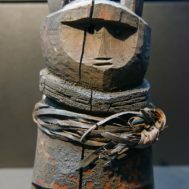 There is no pillaged rock art or other prehistoric material being sold in the U.S.
A review of auction records from Christie’s auction houses worldwide showed sales of 14 lots total of objects from Algeria from 2006 to 2018. No sales were in the United States; all took place in London or Paris auctions. Almost all items offered for sale in Europe were 18th-20th century. A complete online search result showed that the total items sold by Christie’s were: an auction lot including 19th century clothing, one fancy long gun, three decorated documents or manuscript pages, one mounted gnu head, and one Koran folio (listed as “Near East or North Africa”, not “Algeria”). Altogether, there does not appear to be evidence for any U.S. market in Algerian goods except for recent urban crafts and the tribal art of the Tuareg, all of it made for sale. If approved by the President’s representative at the State Department, a bilateral agreement between the U.S. and Algeria, in the form of a Memorandum of Understanding (MOU), would impose import restrictions blocking Algerian art and artifacts for a 5-year period (and if the past 20 similar agreements signed by the US is any guide, an MOU would be renewed indefinitely). A Designated List generated by the State Department and the Department of Homeland Security would identify objects blocked from entry. Unless the objects were accompanied by documents showing that they had been outside of Algeria for ten years prior to the date of the agreement, they could be seized and sent to the Government of Algeria to dispose of as it wished. A key issue is that the burden of proof is on the importer to show that objects or heirlooms had been out of Algeria for at least ten years. There is no limit or standard for the type of proof that can be required by U.S. Customs. Submit your comments online no later than July 15, 2018, at 11:59 p.m. (EDT). Use regulations.gov, enter docket DOS-2018-0022, and follow the prompts to submit written comments. The public may also participate in the virtual open session of the meeting on July 31, 2018, which will take place from 10:30 am -12:00 pm EDT. If you wish to make oral comments during the virtual open session, you must pre-register and submit written comments via the regulations.gov meeting docket. If you have not submitted written comments by July 15, then you will not be allowed to register to speak.